Don’t be snowbound! 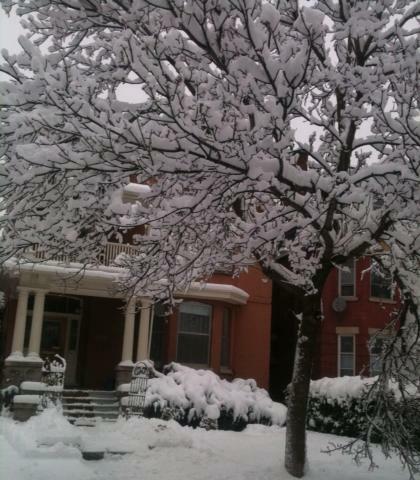 It’s a beautiful white-etched world out there on the streets of Sandy Hill. And in our ever-fun hood the weekend activities kick off tonight! Forget hump-day and head out to Arts Court for an exhibit launch. Wednesday night is the opening reception of Stephen Harper:the Portrait Gallery. 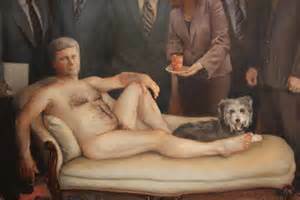 The exhibit explores the impact of Harper’s governance and his philosophy on the country via portraiture. Curated by Dan Monet and including Emperor Haute Couture, the infamous 2011 naked painting of the PM by Margaret Sutherland, the show promises to be thought-provoking and hopefully amusing. Reception Wednesday 6-8pm @Arts Court 2 Daly Ave – showing until 29 Nov – Free. Thursday afternoon it’s time to stock up on healthy produce for the weekend ahead. The Farmer’s Market is at the University of Ottawa’s University Centre (by the bookstore) all day Thursday 9am to 4pm. Get some goodness in to your pantry! Thursday night keep up healthy weekend prep by heading slightly further afield for a unique Yoga experience. We love Nature Nocture nights at the Canadian Museum of Nature and now they’ve added Nature Yoga to the eclectic array of activities at the “Castle”. Get your Om on in the beautiful Blue Water Gallery from 6:30-7:30pm and see the museum in a whole new aura! Tickets include Yoga session & all day admission 20$. At 8pm the AB Series offers Blood is Blood – a collaborative dialogue between a child of Holocaust survivors, Endre Farkas, and Lebanese Montrealer Carolyn Marie Souaid based on emails and conversations during the 2006 Lebanese – Israel War. Evolved to both a book and a 15min film it is a powerful encounter between two of Montreal’s most powerful poets. Blood is Blood was an award winner at Berlin’s Zebra Poetry Film Festival. 8pm Arts Court, FREE. Kick off Friday night with a movie. 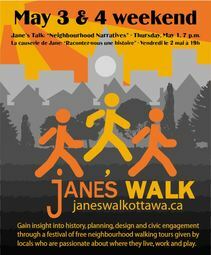 Bike City – Great City airs at 5:30pm at Fauteux 302 on the UofO campus. The screening with be followed by a panel discussion about the transformational power of multi-modal infrastructures in our City. Friday 8PM head to SAWGallery for the annual SKETCH event. A 5$ admission fee gives you access to a silent-auction fundraiser with hundreds of affordable art works. A super-fun art party and great opportunity to shop local for the holidays or to decorate your own abode! The silent auction ends at 11PM but you can celebrate your wins til 1AM. Saturday & Sunday it’s an Open Studio opportunity at Designer Glass Studio, 668 Chapel St, 1-4pm. Check out the art and potentially tick off some of your Holiday shopping. FREE.